Kentucky is obsessed with horses—but it’s more than the famous Kentucky Derby. Experience a bit of the culture at the Kentucky Horse Park in Lexington, with the world’s largest equestrian museum and live shows. Appreciate the state’s natural beauty at the 52 state parks and historic sites. Music lovers can visit the International Bluegrass Music Museum, and bourbon lovers can follow the bourbon trail—a tour of famous distilleries like Wild Turkey and Maker’s Mark. In central Kentucky, where the foothills of the Cumberland Mountains meet rolling bluegrass horse farms, lies bucolic Berea, an idyllic Appalachian arts and crafts centre. Hundreds of potters, painters, furniture makers, weavers and other artisans whose works are coveted throughout the country for their high quality are among this quiet town’s population of 10,000. Perfect for strolling, Berea’s quaint town square includes more than 50 artists’ galleries, studios and crafts shops selling everything from hand-stitched quilts and cornhusk flowers to folk-art paintings, woodcarvings and hand-blown glass. 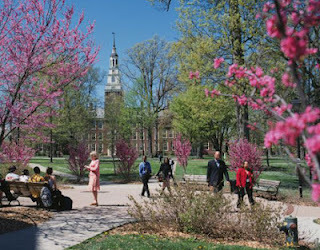 Across the street, Berea College is a tree-shaded, 140-acre campus that originated when wealthy landowner Cassius M. Clay (yes, boxer Muhammad Ali is a namesake) gave this land to the Rev. John Fee in 1853. Along with abolitionist missionaries, Fee formed a village, church and school dedicated to educating people of all races. From its origins as a one-room schoolhouse in 1855, Berea College later became the South’s first interracial and coeducational institution of higher education. Today, private, non-denominational and consistently rated among America’s leading liberal arts colleges, Berea admits only low-income students with high academic abilities and provides them with full scholarships. Since 1893, the Berea College Student Crafts programme has been teaching traditional handicrafts, which are sold through the Log House Craft Gallery (and online) to support the tuition-free college. Students are required to offset their room and board by working part-time for the college. Those who don’t opt for the craft programme can choose to work at the Boone Tavern Hotel and Restaurant (named after pioneer Daniel Boone), a gracious 1909 landmark that offers comfortable rooms, the hearty Kentucky classics spoonbread and chess pie, and updated dishes like filet mignon with blue cheese grits (coarsely ground corn). 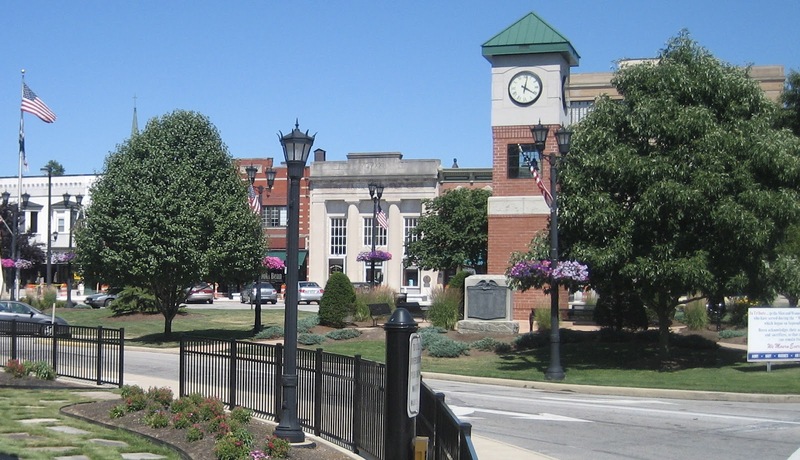 Outside of town, with easy interstate access, the 20,000-square-foot Kentucky Artisan Center at Berea sells Kentucky-made crafts, including jewellery, pottery, baskets, dulcimers and furniture. To take a self-guided driving tour via the back roads to artists’ studios, pick up the Kentucky Artisan Heritage Trails brochure. Two of particular interest are Churchill Weavers, founded in 1922 and renowned for richly textured handwoven textiles, and Tater Knob Pottery and Farm, where hand-thrown chunks of clay are spun into coffee mugs, casserole dishes, bowls and birdbaths.